Farmers Business Network Adds FBN Profit Center, and Launches Crop Marketing! Farmers Business Network at Mid-South Farm & Gin Show! 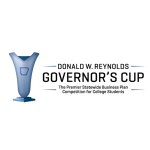 The 17th Annual Governor’s Cup Startup Competition!